I love to carry a pocket tissue holder in my purse because you never know when you need a tissue. 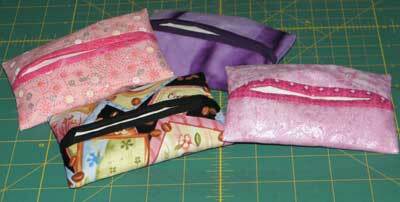 These tissue holders are so cute and very easy to make. Anyone who can sew a straight stitch can make them You can even coordinate them with your purse colors. They make very nice gifts for people who have everything. Just slip a package of tissues in them and you have a beautiful gift. 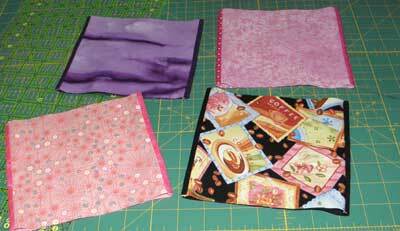 The really nice thing about the holders is that you can use up your scrap material. You can use solid pieces or else piece material that looks good together. 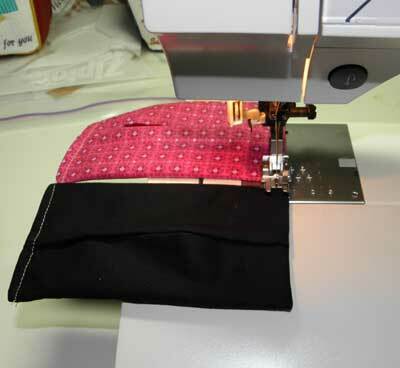 You can ever use strips sew together and that looks really nice or you can make a patch work with some of your scraps. You could even embroidery a design on the top material or personalize it with the persons name. 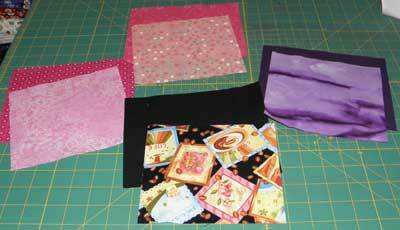 The first thing you need to do is to cut the top fabric 6 inches wide and 6 1/2 inches long. 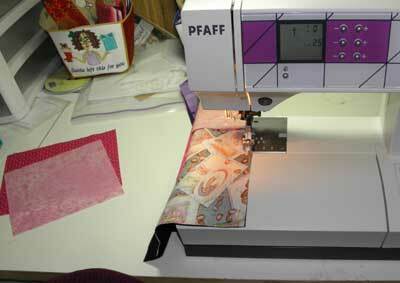 The bottom fabric needs to be cut 6 inches wide and 7 1/2 inches long. Now you need to sew the sides. I don't like the raw edge showing on the inside so I make a french seam. Find the middle on the pocket tissue holder and bring down the long right sides to meet in the middle. Sew a scant 1/8 inch seam on each side. Now turn the tissue holder wrong side out. 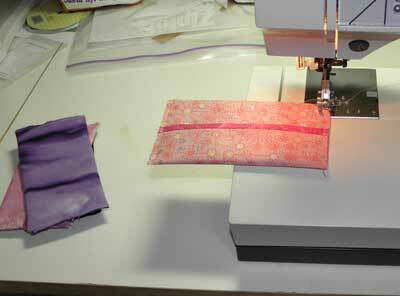 Make sure that you poke out the corners and then sew a 1/4 inch seam. Turn you tissue holder right side out and poke out the corners so they lay nice and smooth. You are now finished with your holder. You can sew little buttons or charms on the top to dress them up if you want to.